We’d love your help. Let us know what’s wrong with this preview of The Air is on Fire by David Lynch. 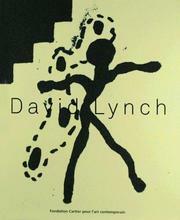 The first major collection of artwork by the acclaimed movie director David Lynch. Spanning a period of forty years, David Lynch's widely respected films and television series include "Eraserhead, The Elephant Man, Blue Velvet, Twin Peaks, Lost Highway," and "Mulholland Drive," However, his prolific visual art production, which began even before his films, has rarely been The first major collection of artwork by the acclaimed movie director David Lynch. 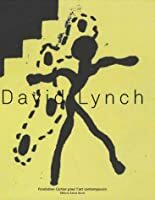 Spanning a period of forty years, David Lynch's widely respected films and television series include "Eraserhead, The Elephant Man, Blue Velvet, Twin Peaks, Lost Highway," and "Mulholland Drive," However, his prolific visual art production, which began even before his films, has rarely been seen. To ask other readers questions about The Air is on Fire, please sign up. I like the nowhere part of America...They're little truthful places, but they're not obvious. I like bees and my friend, Jack Nance - I might have told you - worked in a hotel as nightwatchman and opened a door of a vacant room and found like 10,000 dead bees and sent me a Kleenex box filled with them And then I made my bee board from those bees and it started with the Ricky Board.